Santa is shown at the Selkirk Community Hall with Lyndon and Gemma McConachie on Saturday, November 24, 2018 at Selkirk’s afternoon with Santa event (Haldimand Press photo by Adrianna Stavinga.). Haldimand Press photo by Rachel Vaarkamp. 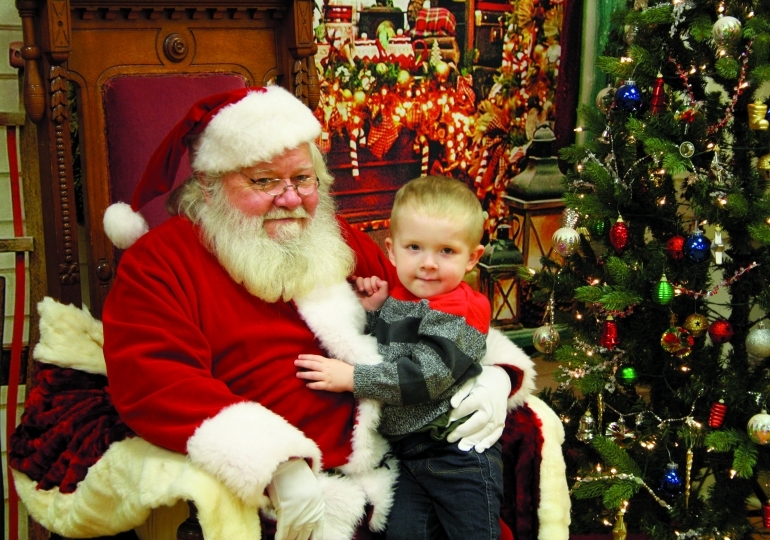 CALEDONIA—Fun was number one on Santa’s list the morning of Saturday, November 24, 2018 at Caledonia Presbyterian Church for their annual breakfast with Santa. Shown is Grace Bridgeford (left) with her brother Gordon and sister Isabelle as they keep the seat warm for the big guy himself. —Haldimand Press photo by Leslie Crampton. 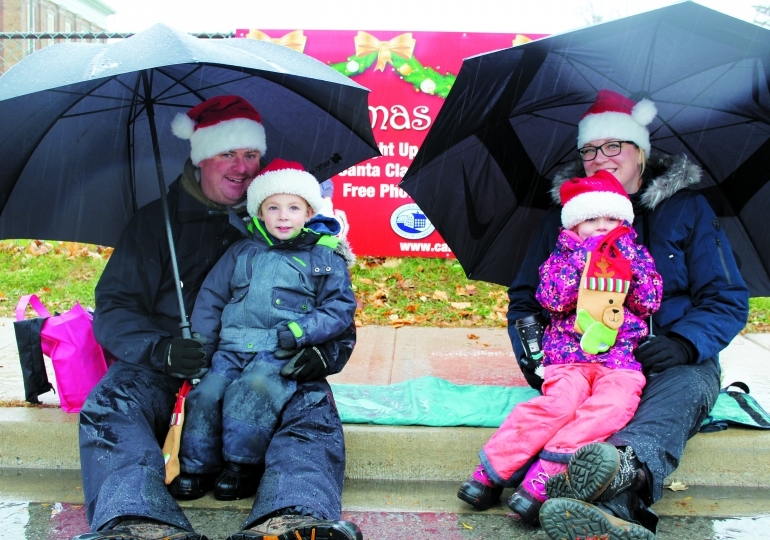 CALEDONIA— Dale, Hudson, Lily and Lindsey Palmer watching the 2018 Santa Claus parade. —Haldimand Press photos by Rachel Vaarkamp. CALEDONIA— Above is Richard, Pam and Regan Wood enjoying the Christmas festivities. —Haldimand Press photos by Rachel Vaarkamp. 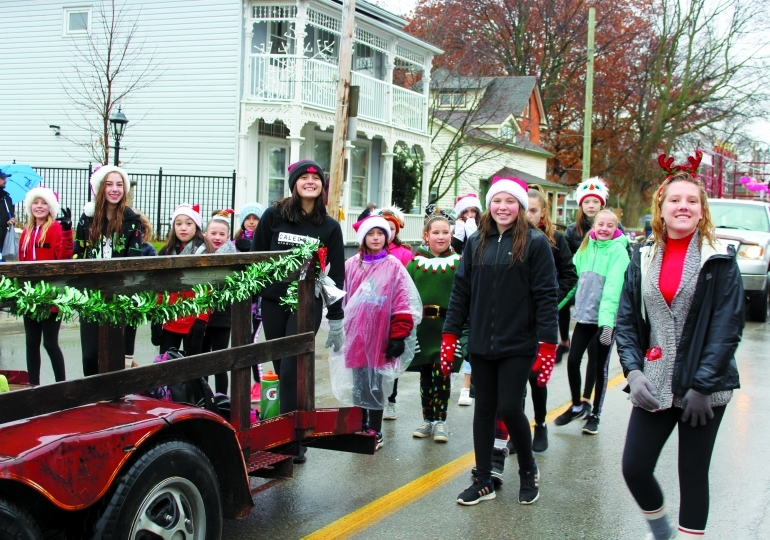 CALEDONIA—The annual Caledonia Santa Claus parade took place Saturday, November 24, 2018. Above is members of the Caledonia Studio of Dance in the parade. —Haldimand Press photos by Rachel Vaarkamp. SELKIRK— Ian Wilkins and Dixie of Fisherville ready to light up the night. —Haldimand Press photos by Adrianna Stavinga. 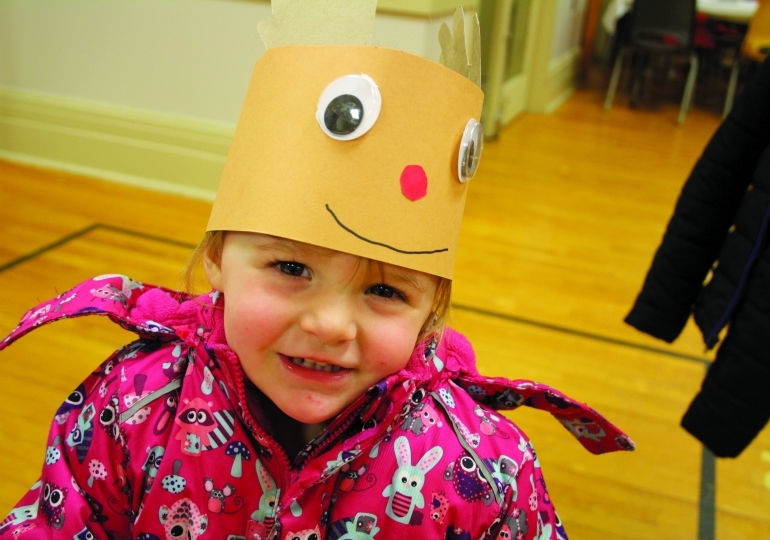 SELKIRK—Skarlett Park of Selkirk showcasing her reindeer hat. —Haldimand Press photos by Adrianna Stavinga. 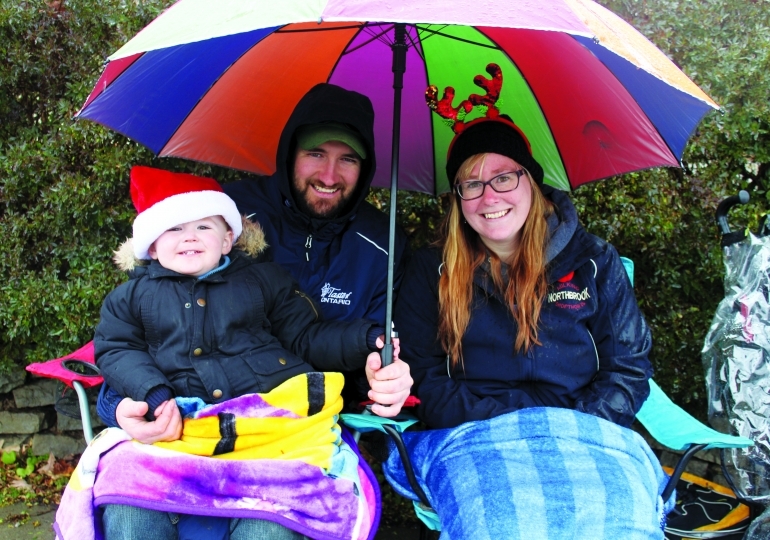 SELKIRK—On Saturday, November 24, 2018 Selkirk held their annual Christmas celebration and Illuminated Tractor Parade. Approximately 140 children attended an afternoon with Santa. 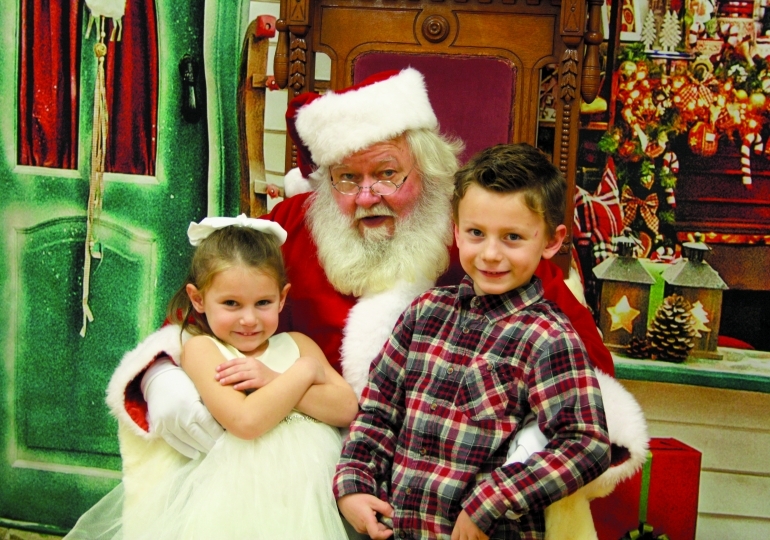 Shown in photo with Santa is Declan Cronk of Selkirk. —Haldimand Press photos by Adrianna Stavinga. 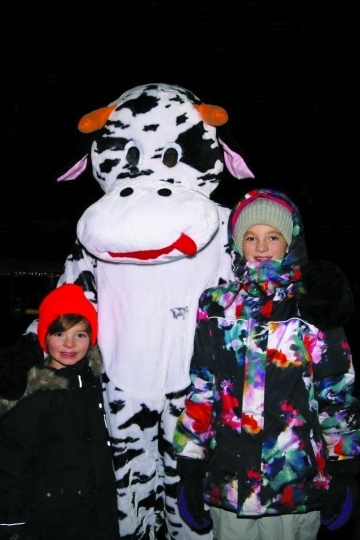 CALEDONIA— Dean and Desiree Oleksiuk posing with Fair Mascot Callie the Cow. —Haldimand Press photos by Charlene Papasodaro. CALEDONIA— Jenn and Christian Smith of Mary Poppins preschool handing out “reindeer food” to guide Santa’s reindeer. —Haldimand Press photos by Charlene Papasodaro. 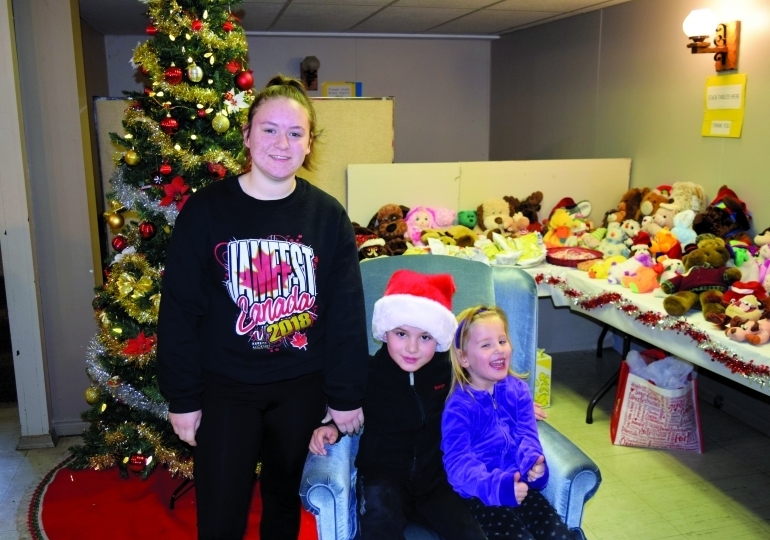 CALEDONIA— Caledonia held its annual Light up Night on November 22, 2018. 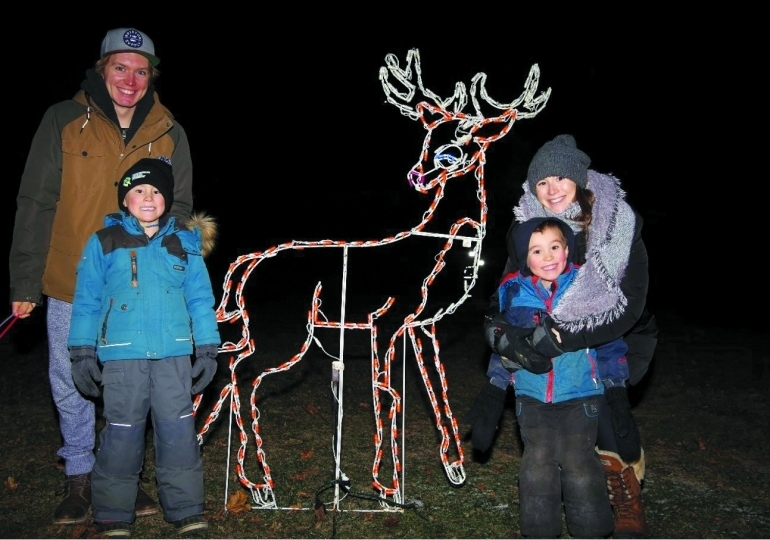 Photo shows Tim Myhaluk, Walker Hay, Lincoln Hay, and Paige Fursman posing with one of the light displays. —Haldimand Press photos by Charlene Papasodaro. 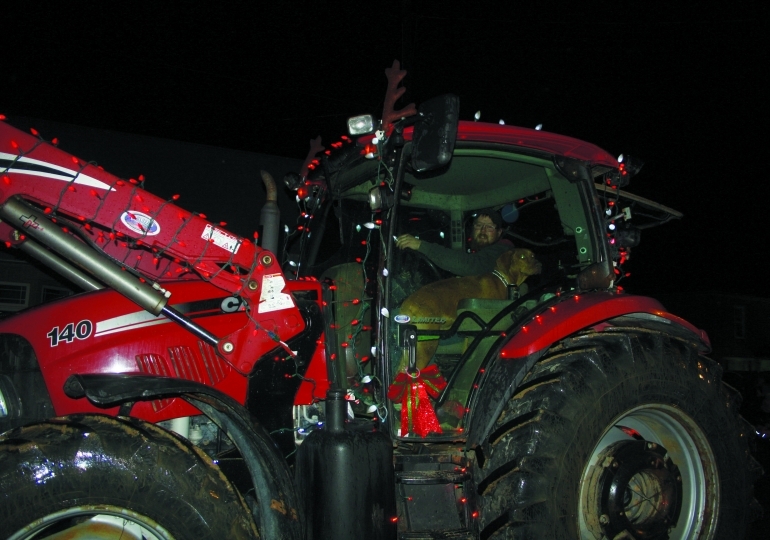 Selkirk’s streets were filled with bright tractors for the sixth annual Selkirk Illuminated Tractor Parade. 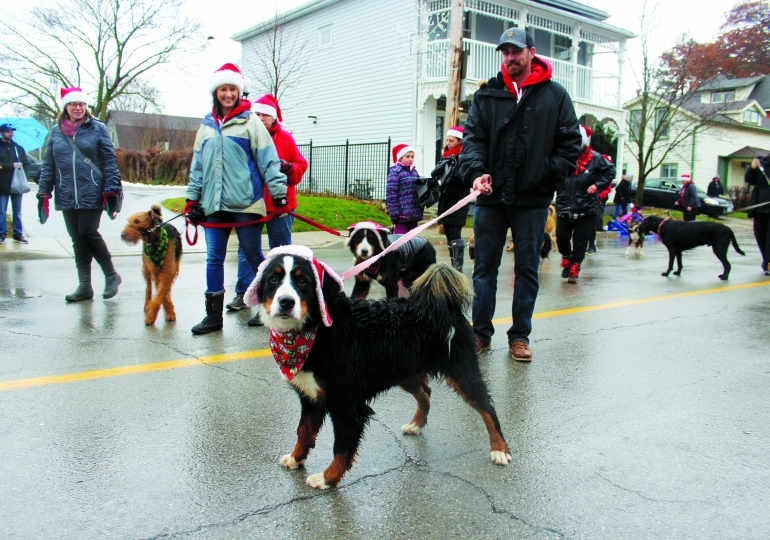 Above is The Canine Bond, a participant in the Caledonia Santa Claus parade, also on Saturday, November 24, 2018 Haldimand Press photo by Rachel Vaarkamp.